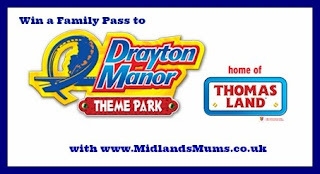 We are big fans of Drayton Manor here at Midlands Mums. It has something for everyone from Thomas Land to the Zoo. Its the perfect day out with the family. On the 19th July Drayton Manor open their new ride Winston’s Whistle Stop Tour in Thomas Land. The launch marks the fifth anniversary of Europe’s only Thomas Land; with Winston joining the other 20 rides and attractions that are all based upon the popular Thomas & Friends™ series characters. The ride takes you on a guided monorail tour around a themed track, letting you see the whole of the attraction from above with an open-top experience in good weather. To celebrate the new ride Midlands Mums has one Family Pass (2 adults and 2 children) to giveaway. All you have to do is follow the instructions in the rafflecopter widget below. 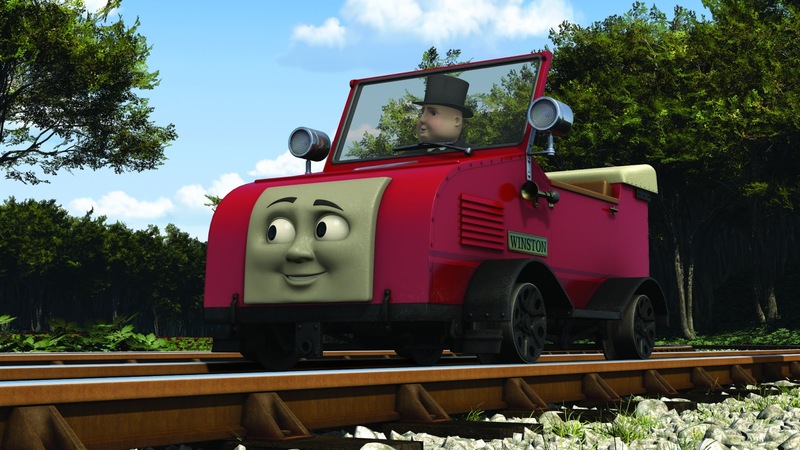 Winston's whistlestop tour looks fab! I think I know a little train driver who would be heading straight for that! Ooo the Whistlestop Tour looks fab - it would have to be that :D Thanks. Winston's Whistle Stop tour of course! Jeremy at Thomas Land! Ha! The main train ride at Thomas Land as it was too busy when we went and my son wouldn't wait!! We would definitely head to Thomas Land, my two are big fans! Love the look of the whistlestop tour. Not sure if it would be me or the kids that were more excited! It would have to be the tame vintage carousel! Thomas Land my grandson loved it . Thomas Land would be our 1st stop. Take the little ones on the train rides 1st. Troublesome Trucks, my little girl would love it. Straight to ride on Thomas! I suspect I would be dragged onto the Crazy Bertie Bus ride as I have a bus obsessed little girl at the minute! Who knew public transport could be so appealing?!? We love to take the children there, and as tradition the first place we go is to the Jolly Buccaneer - the first time we went on it we were shocked ay how nippy it was. The park is fantastic for children, with the mini rollercoaster (coal mines) and the Buffalo ride, the children get a taste of the big and the small, and us adults are more than satisfied to see their faces of joy. Ben 10 was my partners first ever rollercoaster too - as he doesn't really like them. My son Peter loves Harold the Helicopter and Hannah loves Percy the big train that takes you to the other end of the park, and then back. 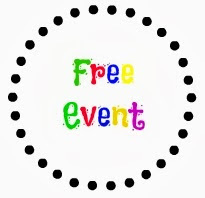 :) Highly recommend Thomas Land for children, in our opinion its the best place in the UK for children under 5. We love Thomas Land here. Definitely Thomas Land, my little boy is a HUGE fan!! Stormforce 10 looks like my kind of ride!!! Winston's Whistle Stop looks awesome! i would do storm force ten again! The first ride would be the Bertie bus ride! Would have to be Winstons whistle stop tour. Jo Pilkington. For us it would have to be Jeremy Jet in Thomas Land. I can just imagine the excited look on my boys face! Drayton manor has it all for our family. Thomas Land for youngest, Ben10 ride for our 8yr old and huge rides for the eldest. A great family day out! Think my son would love Jeremy Jet!